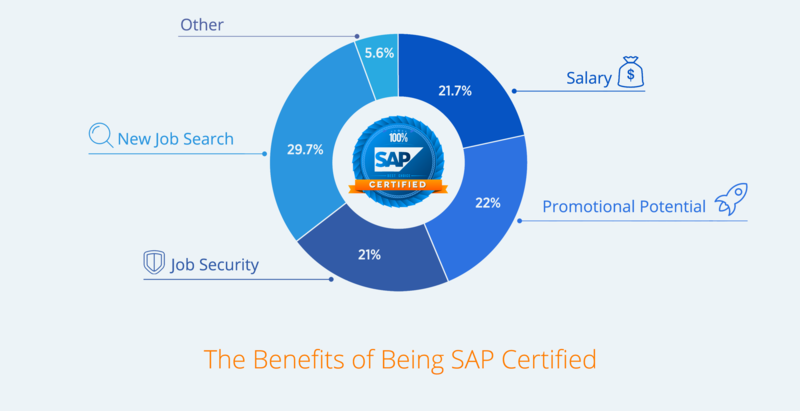 What does it mean to be a Certified SAP Professional? Being certified in SAP shows employers that you are a dedicated SAP professional with up-to-date skills. 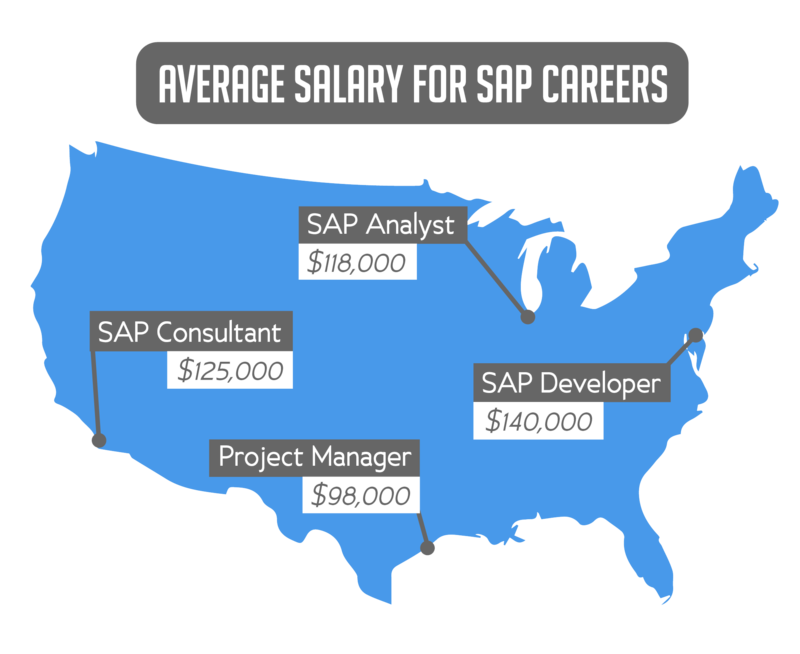 So, besides the elevated prestige and status that comes with an SAP certification, being certified can boost your salary and career. 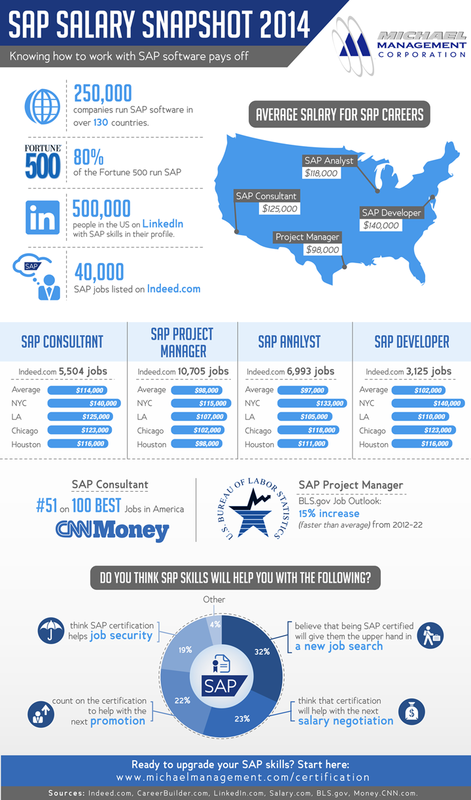 Knowing SAP is a sought-after skill and you can earn a very a good living. This is even more true when you are SAP certified. 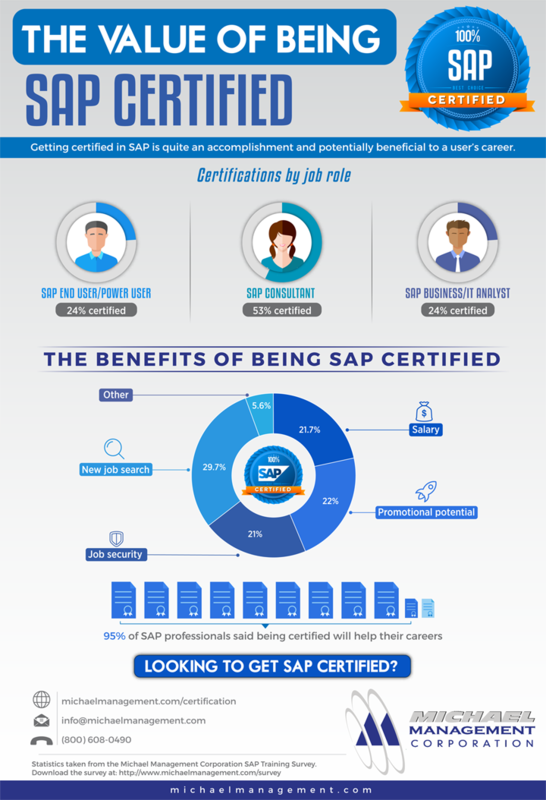 Whether you are an SAP consultant, analyst, or have a similar role, employers choose certified professionals over non-certified. Ultimately, this leads to a better salary. 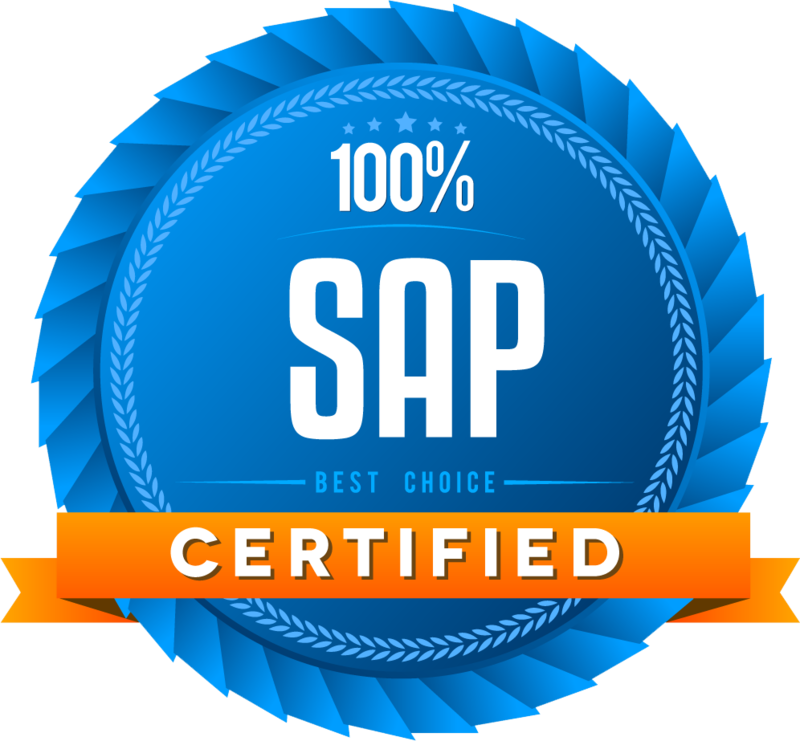 To obtain the Certified SAP Professional status from Michael Management, a student must complete all lessons in his/her assigned training courses and then pass the formal final exam with a score of 80% or better. Our final exams are hard (in fact, 40% of students fail on the first attempt), so make sure to study. Of course, you can re-take the exam as many times as necessary without incurring any additional cost - our certification exam fee is already included in our SAP online course prices. 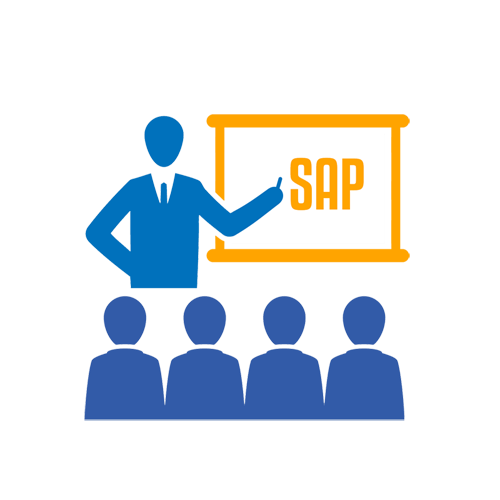 We provide SAP education solutions and are the 2nd largest certification provider after SAP itself. With our globally recognized certification programs we have certified 20,000+ students and emphasize teaching students practical skills with hands on experience that they can use immediately in their jobs.